Physiotherapy also known as Physical therapy is a health care profession, which views human movement as central to the health and well-being of individuals. 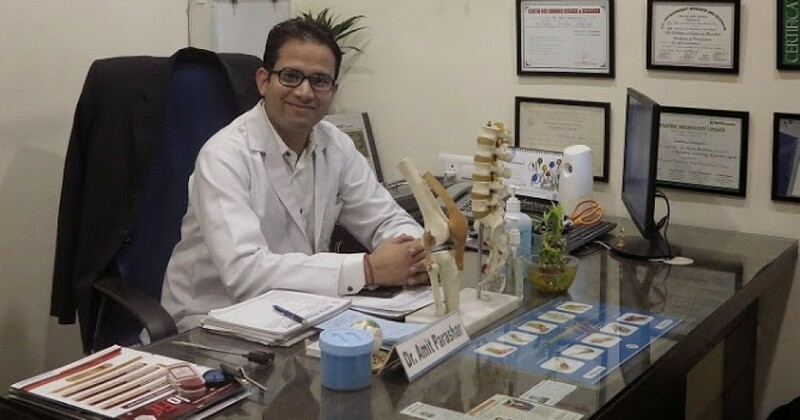 It is a holistic approach to healthcare, and plays a vital part in pain relief, healing and rehabilitation in most medical and surgical conditions. Physiotherapy service has its applications in all most all disciplines of modern medicine. Physiotherapy as the name suggests is the treatment of differing conditions by physical means. This may be by stretching, strengthening, relearning movement patterns, manipulation, massage or by using some electrotherapeutic modalities such as ultrasound or interferential. These may be used in conjunction with injection where appropriate. Whatever is eventually used nothing is done until a comprehensive examination and assessment is carried out. This may take up to an hour. It is usual for people to be taught a little about the mechanism of their problem so that they can see the purpose of various exercises they will almost inevitably be asked to do. In some instances supportive or corrective taping may be used for a time and if this is a long term problem patients will be shown how to do this for themselves. Understanding some basic biomechanics can be extremely helpful in dealing with the endemic spinal problems we all encounter. Advice will be given about the use of various supports, braces etc. needed by some conditions as well as ergonomic advice for both work, home and sporting environment.